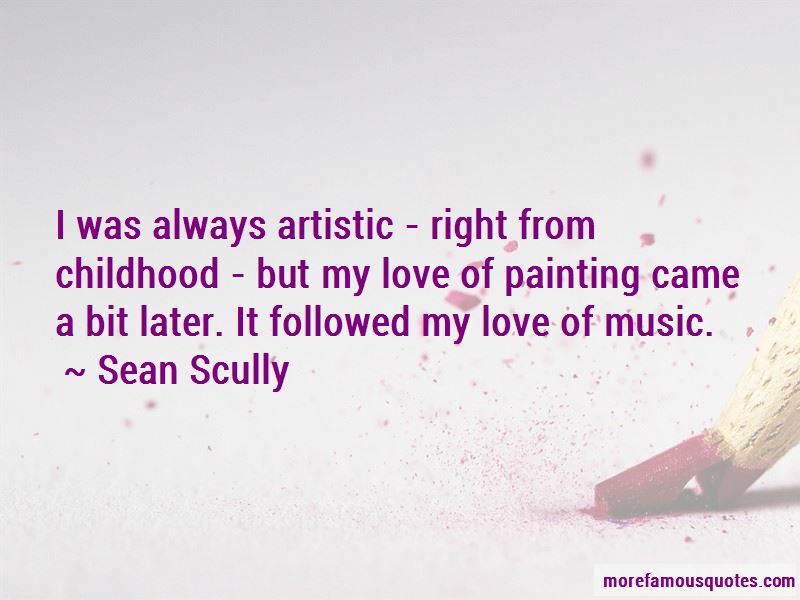 Enjoy the top 6 famous quotes, sayings and quotations by Sean Scully. I look at my paintings for a very long time before letting them out of my studio. 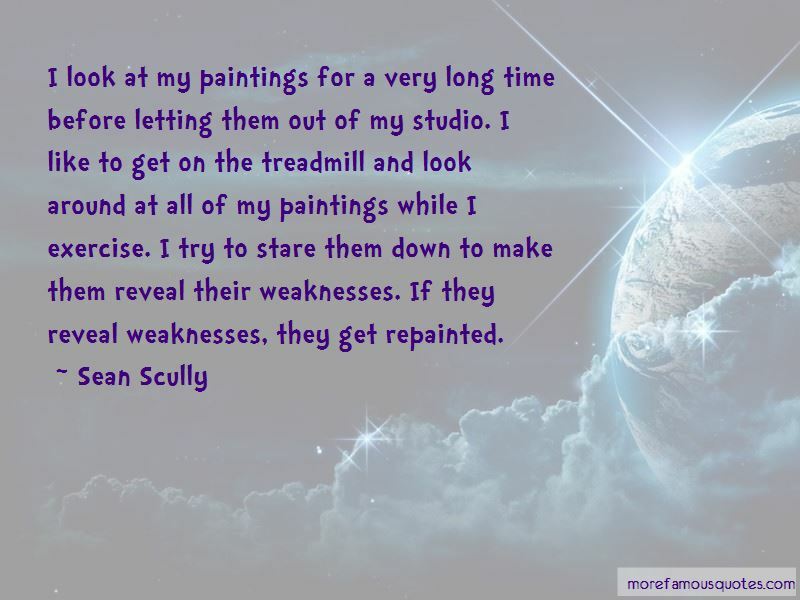 I like to get on the treadmill and look around at all of my paintings while I exercise. I try to stare them down to make them reveal their weaknesses. If they reveal weaknesses, they get repainted. I do believe abstraction is and was meant to embody deep emotion. I believe that's its job, in the history of art. 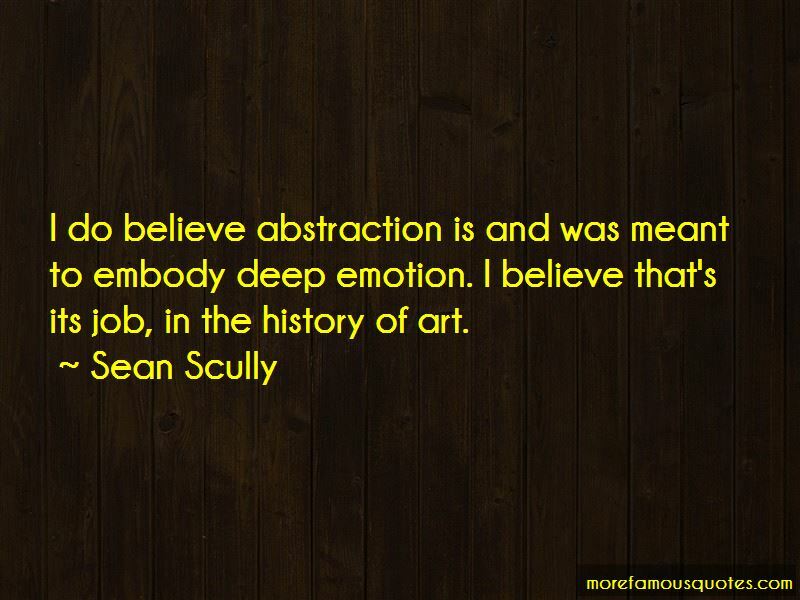 Want to see more pictures of Sean Scully quotes? 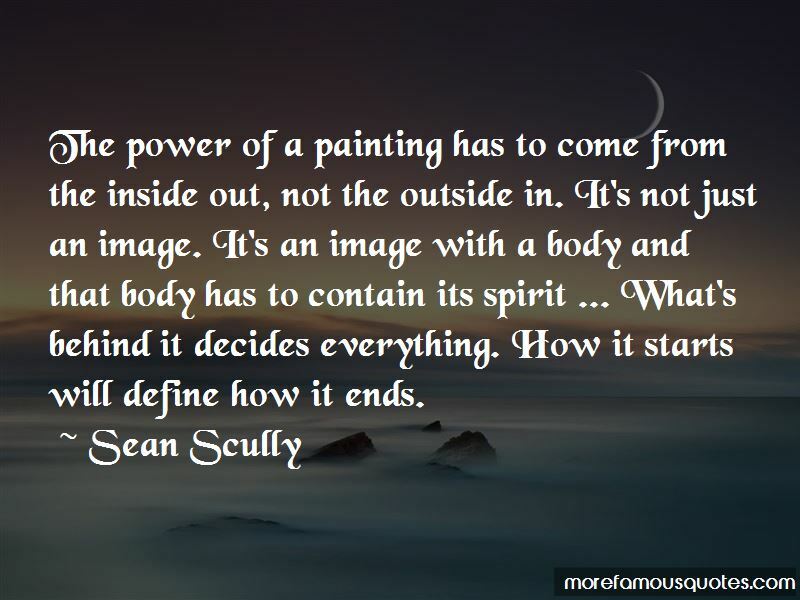 Click on image of Sean Scully quotes to view full size.